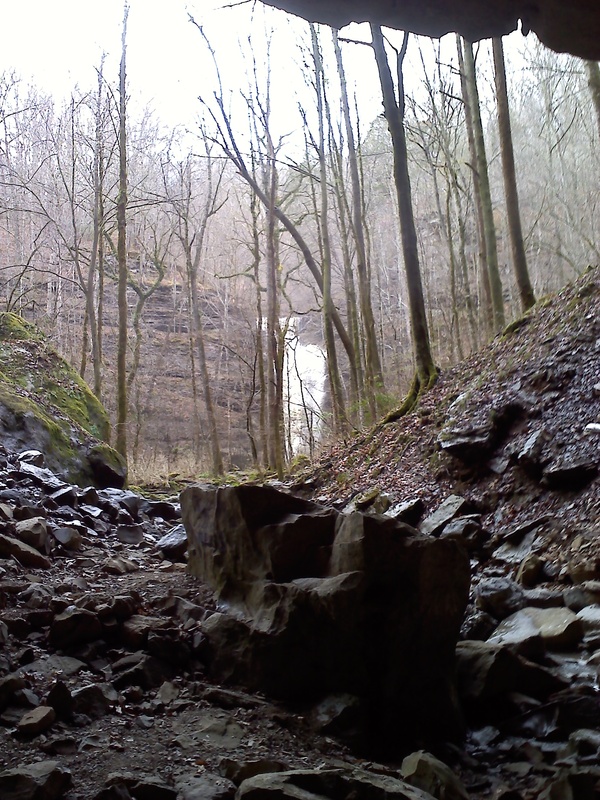 Virgin Falls now has two trailheads. 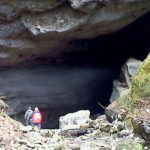 It can be accessed from the Plateau via the original trail head, or from Lost Creek. 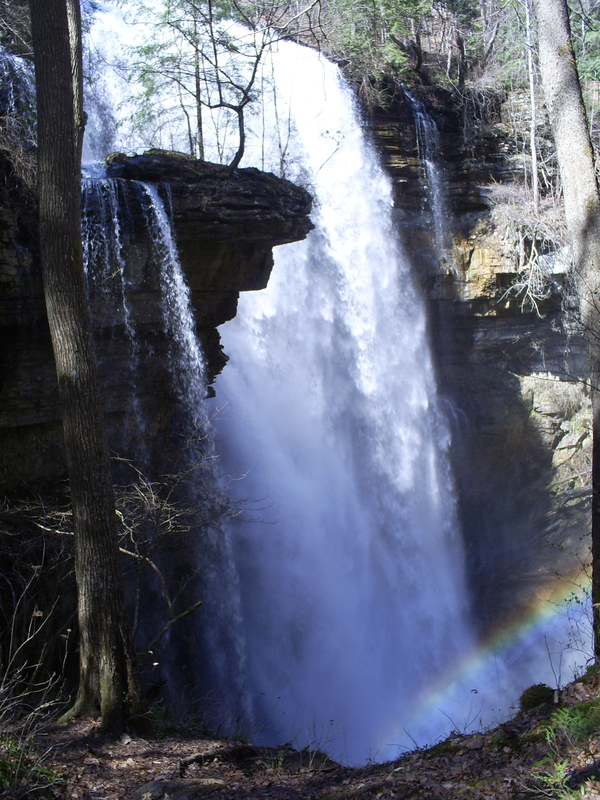 Or, it can be used as a thru-trail with a total of 10.3 miles and a total of five waterfalls in route. The trail length is 4.8 miles each way. If you add the spurs, you will hike closer to 11 miles total. There is a 1300′ elevation change with the majority of the change in the first third of the trail. Keep in mind that you will be climbing back up that elevation as you return so pace yourself accordingly. There are lots of rocks and roots; sturdy, fully-enclosed shoes are recommended. Wilderness camping is available, but the closest campground is 1.5 miles in. 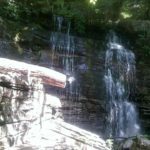 Before you begin, if you pass the Virgin Falls parking lot and take the fork to the right, travel about 2 miles, and walk 400′ down the hill, you will be at Welch’s Point. 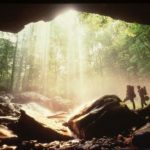 You will take in one of the most spectacular overlooks in the state, and get an idea of the terrain that you will be hiking in. There are three waterfalls along the route and any one of them makes the trip worthwhile. 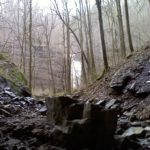 The first is Big Laurel Falls. 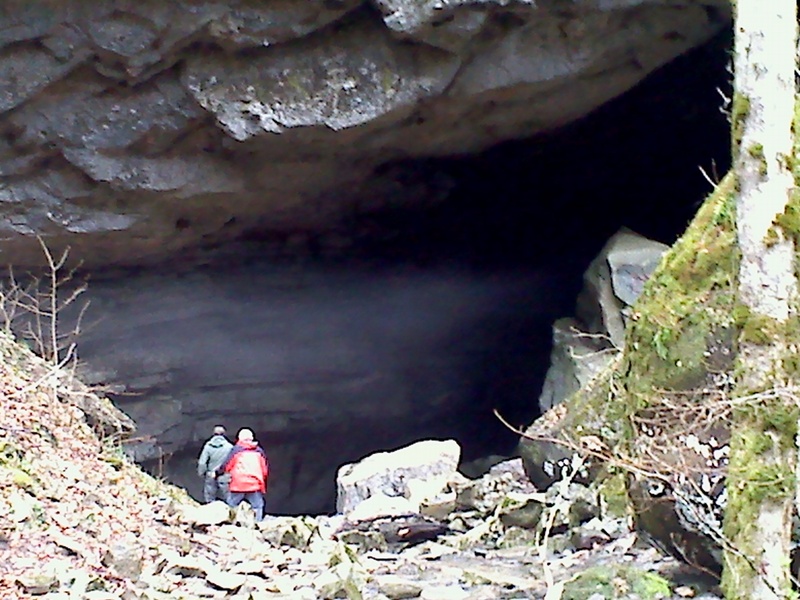 The second is Sheep Cave, and the crown jewel is Virgin Falls. For directions, click <here> . Lost Creek Trailhead for Virgin Falls. Park in the Lost Creek Parking area and walk south on White’s Cave Rd. 800′. 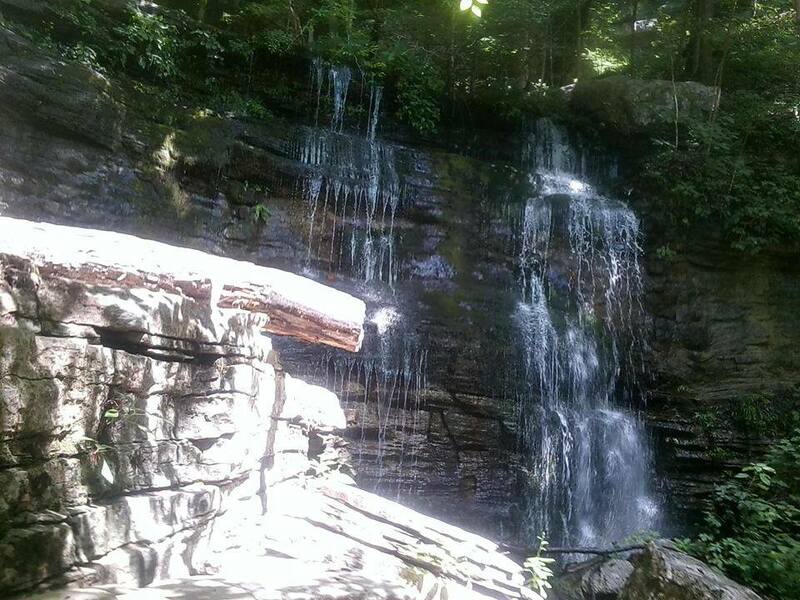 The Rylander Cascade Trail provides access through to Virgin Falls. This entry to Virgin Falls is equally rigorous. The upside is you don’t have to wade through the Big Laurel Creek which can be a problem during high water. For a map of the thru-trail to Virgin Falls click here virgin-falls-trail-pdf. 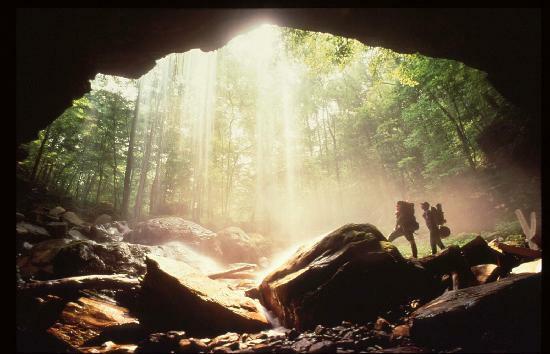 The trail to the base of Lost Creek Falls and Cave is an 800′ descent into a giant sink. Americorp improved the trail two years ago. There are rocks and roots, but it is a good trail. The Rylander Cascade Trail is an old logging road converted to trail. There is probably not 200′ of elevation change along the trail and should be navigable to all ages. 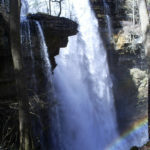 To use the Rylander Cascade Trail, park in the Lost Creek parking area and walk south on White’s Cave Road about 800′, Rylander Cascade Trail exits to the left. The half-mile trail lies in an old roadbed and fairly level. Watch for more than one cascade as you walk up the trail. Many wildflowers are present during the spring.